On March 22, Atlanta announced plans to retire Bobby Cox's #6 this August, honoring a long and successful run managing the Braves to many division titles and a World Series ring in 1995. His 4 decades of experience covers more than one franchise, though, reaching back through Toronto into the Yankee 1970s farm system and West Haven, Connecticut. 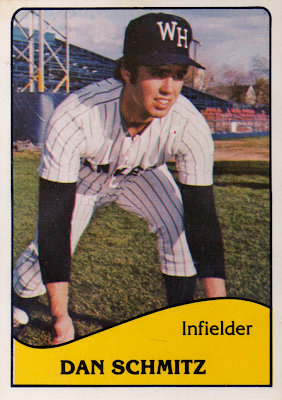 West Haven captured the Eastern League title in 1972 under Bobby's guidance, the first of four titles in just 10 years as a Yankees affiliate. After good success in the minors, Cox reached the big leagues (as first base coach) by 1977, just in time to help their strong farm system--and free agent signees Reggie Jackson and Catfish Hunter--win a World Series. 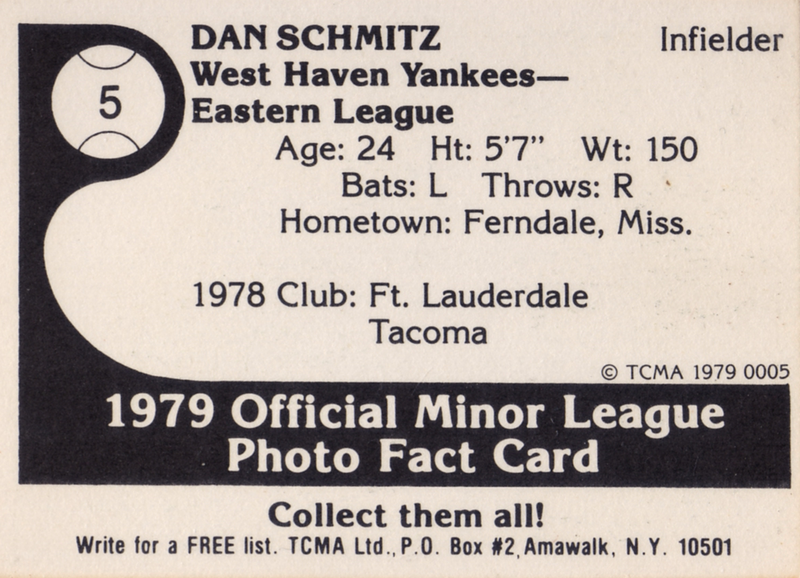 TCMA apparently couldn't track down Dan Schmitz's 1978 stats--find them today at TheBaseballCube.com. He played pro ball for 7 seasons and kept a favorable BB/K ratio, but never developed enough power to "stick" in the big leagues, given the overall strength of New York's talent. Schmitz now manages at Bowling Green.